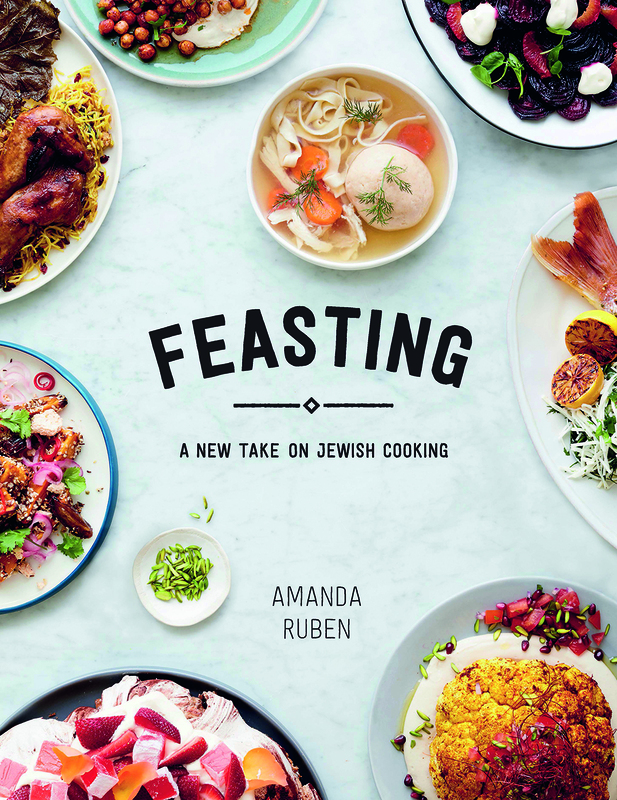 Feasting, A New Take On Jewish Cooking by Amanda Ruben is the latest cookbook on our radar full to the brim with delicious, nourishing recipes! 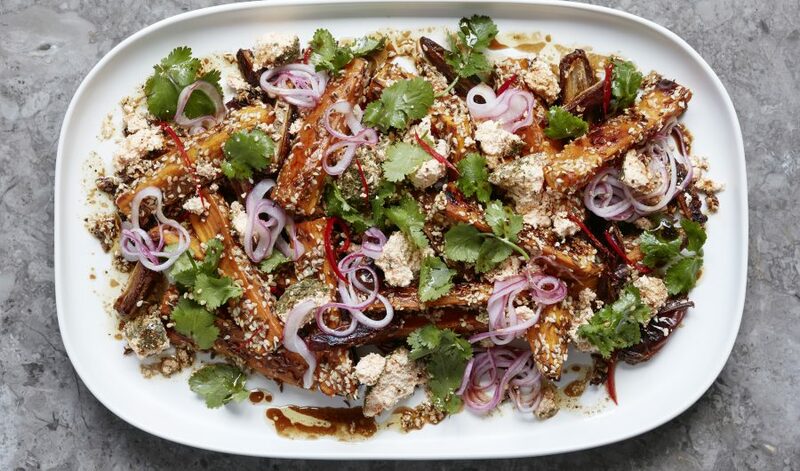 Here is her Spice-Roasted Sweet Potato dish, the perfect accompaniment to a dinner party feast! I’d never tried roasted dates until creating this recipe and I’m so glad I did. 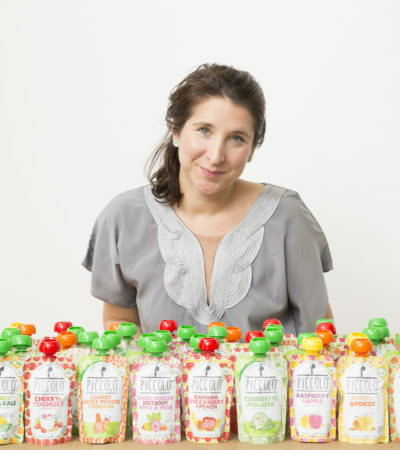 To get the best result it’s really worth buying fresh Medjool dates for their juiciness. The flavours of date molasses, lime and fresh white cheese are so good with the caramelised roasted sweet potato. You can buy shanklish from Middle Eastern grocers, otherwise, feta or fresh ricotta would also be delicious. Preheat the oven to 200°C (400°F) and line two baking trays with baking paper. the prepared trays. Roast in the oven for 25–30 minutes, until the edges of the potato are brown and the flesh is soft. 6 minutes, then remove and leave to cool and crisp up. To make the pickled red shallots, combine the vinegar, coconut sugar and salt with 250 ml (8½ fl oz/1 cup) water in a saucepan. Bring to the boil, then leave to simmer for 3–4 minutes before removing from the heat. Place the shallots in a bowl and pour the hot pickling liquid over them. Leave to sit for 1 hour before serving. 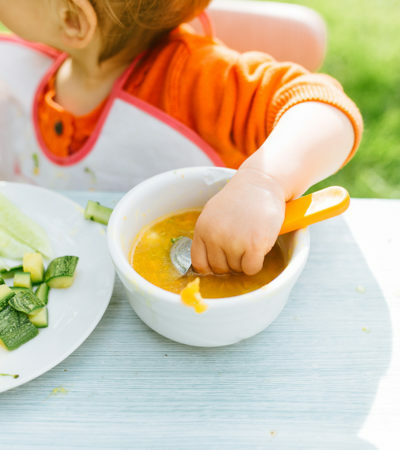 To make the dressing whisk together all the ingredients in a bowl. 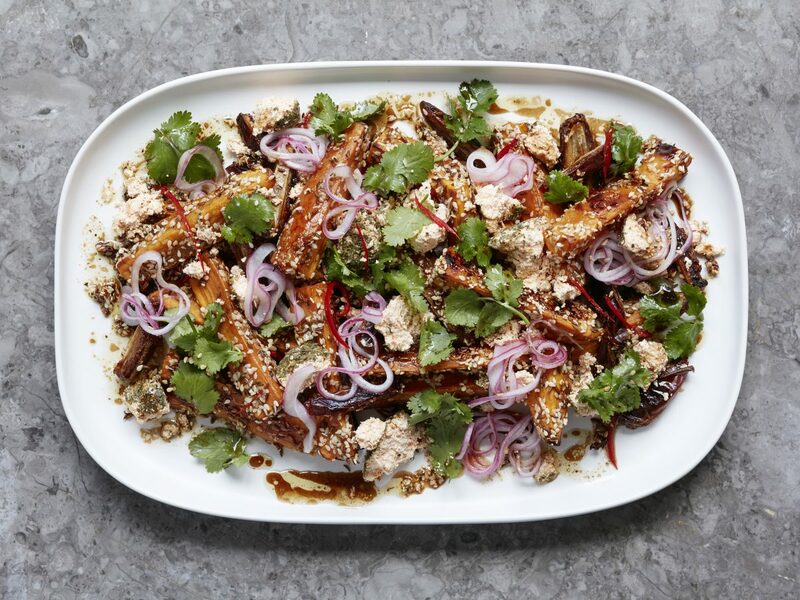 To serve, arrange the sweet potato wedges on a platter, crumble over the shanklish in big chunks, then top with the roasted dates and pickled red shallots. Drizzle with the dressing and garnish with the sliced chilli and coriander. Feasting, A New Take On Jewish Cooking out now!